Cardboard Cutouts or Real People? 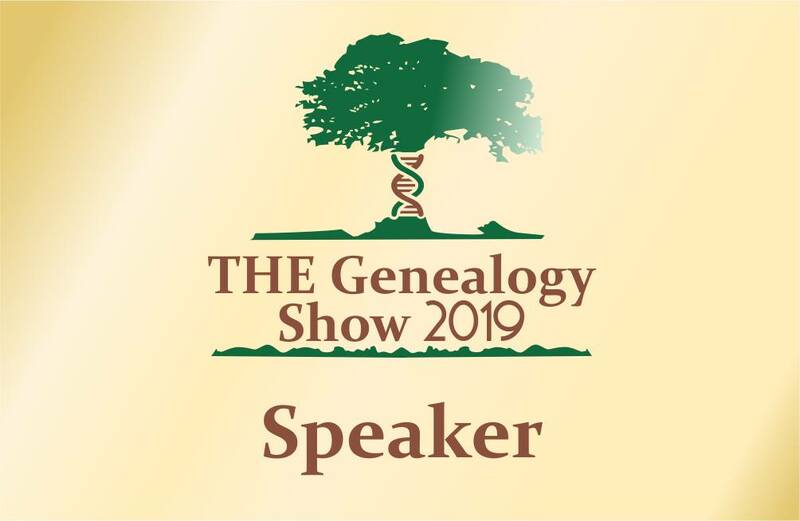 My commitment to CGD is sending me along to quite a few genealogy events where I am able to hear a range of very knowledgeable speakers present on their areas of interest or expertise. This morning I read a post by Anne Roach where she described her use of auto-tweeting to add an element of interactivity to a recent conference presentation . Anne reminded me that "Benjamin Franklin allegedly said, “Tell me and I forget. Teach me and I remember. Involve me and I learn." When I was teaching I always tried to involve the kids because I believed that children learn by doing; so do adults. When I attend some genealogy events I wonder if some presenters recognise that they are speaking to real people because they may as well be speaking to cardboard cutouts. I may be old, gray and stiff but I am not made of cardboard. Is it because presenters draw on their experience of classrooms and universities of the sixties, where the teacher was the 'sage on the stage' and students had to shut up and listen? Education in schools and tertiary institutions has moved on from a time when learners were seen as empty vessels to be filled; it is now commonly recognised that, by involving the learner, a richer learning experience will ensue. It is daunting to have to get up and speak to a group of strangers; it can be annoying if they continually interrupt with questions and comments and disrupt one's train of thought. However, we as speakers, have a responsibility to our audience. We should not just tell them what we want them to know we should also try to satisfy their thirst for knowledge or information. HINT 1: At the outset Ask a few of the attendees: Why are you here? or What do you hope to get out of today's presentation?" HINT 2: If it's a small group or an all day seminar invest a few minutes in finding out something about each person in the group. You will then have some information to help tailor the presentation to audience needs. HINT 3: If a question is not of interest to the whole group offer to answer it at the end. HINT 4: Always take a question - if is too complex to be answered immediately put it on a 'parking lot' list to be answered at the end of the presentation. When faced with a diverse audience recognise that some people in the group may know more about some aspects of the talk than you do. Their contributions can break up the tedium of your talk. HINT 3 : Graciously accept their contributions and involve them in your discussion. Never put them down. There has been much written about levels of concentration and how long people can sit still and listen. Once asked what I did all day at school I said "I daydreamed." Victims of "chalk and talk" type presentations are prone to drift off and may miss important aspects of your talk. HINT 4: Pepper your talk with questions. Pose a question or problem and give the attendees a minute or two to discuss it with their neighbour. Ask a few to share their thoughts. HINT 5: For longer sessions set some individual or group exercises. Just as I love the collaborative aspect of blogging where reading Anne's post caused me to think, comment on her post and compelled me to write this post I recognise the collaborative nature of learning. Please, genealogy presenters, recognise that learning is a collaborative exercise. Involve your students. You can learn from your them and give them and yourselves a richer learning experience. We recently made contact with my father-in-law's first cousin and are going for a looooong drive to meet her on the weekend. Because ancestors died early on my husband's side his father lost contact with them and he did not know his cousins and their offspring, so this branch of the family is a surprise package. In her late eighties this lady is looking forward to our visit as we are to seeing her. Usually when exchanging information I burn relevant files and photos onto a CD or DVD and direct the contact to take a look at my online family site. I presume this elderly lady doesn't have a computer. It bugs me when I sometimes see reckless use of paper in the genealogy world. Although I am not an environmentalist I am committed to preserving our natural resources so am feeling quite guilty as I print off sheaves of paper for the new cousin. I hope mother nature will forgive me for this transgression; I really do like trees. This collection is well over 100 pages. Is that overkill? (she is into family history) Is there something I have overlooked? "The following small sample of free computer-based software is useful and reliable for the average Joe or Josephine computer user. All programs run both on Macs and PCs and have good track records of reliability. For more tools, see the School Computing Wikis Best Free or Open Source Software. Audacity allows the user to edit sound files. Inkscape is a drawing program comparable to Illustrator. OpenOffice has many of the same tools as Microsoft Office, and is compatible with Word, Excel and PowerPoint. Scribus is desktop publishing software similar to Publisher. TuxPaint works much like the childrens drawing program KidPix. Moodle is an open source course management system. Apache is the venerable webserver software." Many genealogists are average Joes and Josphines who do not have buckets of cash to splash out on expensive computer applications. In addition to Doug's suggestions I use the suite of Google products, Delicious for bookmarking, Picasa for organising my photos and Blogger and Wordpress for blogging. Although I use paid apps for for managing my genealogy data one can use the free Legacy Family Tree Genealogy Software 7.5 or PAF 5.2. Thanks, Doug, for reminding us that "Free is good". 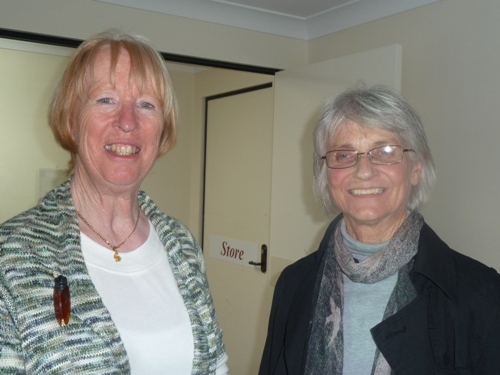 Sometimes I feel as though I have won the lottery and I did today after my visit to Mosman Library for "Remember when...", a full day workshop presented by Dr. Noeline Kyle of Family History Writing and Lorraine Purcell who has published a number of family history books. Although I am not a Mosman resident I was able to sign up for this session before it was fully subscribed. I would commend these presenters to anyone interested in publishing their family stories. Details of Noeline's future workshops can be found on her website and on the GeniAusEvents calendar. Thanks to Mosman Council for hosting this event in Library and Information Week 2011. Because of my background I learnt more today from the first speaker, Noeline Kyle but both speakers were very good. I'll drag out my favourite tool from teaching days and report on this event in a PMI format. * Comfy chairs spaced apart. * Friendly and personable presenters. * Printed program and impressive package of notes/handouts. * Relevant slides with touches of humour to accompany talk. * Artefacts used by Lorraine to illustrate her talk. * Creation of an environment where attendees felt comfortable sharing their writing. * Presenters graciously posed for a photo. * Hazardous cords running across the floor of room. * Dungeon like seminar room. * Speakers not properly introduced by someone from the library. * Discussion of on-line, print on demand publishers eg Lulu glossed over. * No discussion of blogs, websites, vlogs or other online tools as formats for publishing family stories. * No mention of using digital media, eg Facebook, Twitter, for marketing of published works. * Would like to have had a couple more practical writing exercises, group involvement and a little less 'chalk and talk'. * A quick whip around the audience to identify their interests would have enhanced the experience. * Speakers had a display of their books for sale. Ian Beckett, a retired detective and Castle Hill Library volunteer, who was the presenter at this event opened his talk by posing a few questions to the audience. After which he looked at me and said "What are you doing here?" My retort was "You can always learn something" and I did learn a few things and was reminded of others. I will once again use the PMI format to report on this event. * The Hills Council isoffering free events about family history/genealogy to the community. * Eventbrite is used to organise event registration and ticketing. * Comfortable venue with comfy chairs. * A staff member, Tony, was on hand to direct visitors to the lecture room. He also introduced the speaker and audience. * The talk was correctly labelled as for beginners. * Ian used anecdotes to embellish his talk. * Ian spoke off the cuff with some reference to a printed outline. * Ian had handouts for the audience. * Ian offered to assist attendees with their research. * An evaluation form (with pencil) was provided for attendees to complete. * The outline for the talk and points to be covered was not initially shared with the audience. * Apart from a very short demo of the NSW Historical BDM indexes Ian did not use any visual aids, demonstrations or artefacts in his talk. * Ian suggested starting with a 4 generation paper chart and then progressing to a computer program. * Some of the resources mentioned were incorrectly cited. * If we go back 21 generations we will have one million ancestors. * That the audience was directed to other libraries eg Hornsby and Windsor to use the Ancestry Database and for the magazine "Practical Family History" to Hornsby Library. Perhaps it is time for The Hills to organise subscriptions. * Ian suggested we open bank account with a small balance for online purchases. * Ian suggested using the City of Sydney Assessment Books 1845 - 1950 to find inner city residents. * Most audience members were from the 50+ age group. * A large proportion of the audience displayed a lack of knowledge about computers generally but a willingness to learn about using technology for genealogy. * Used my Galaxy tablet to take notes in Google docs. - worked well. 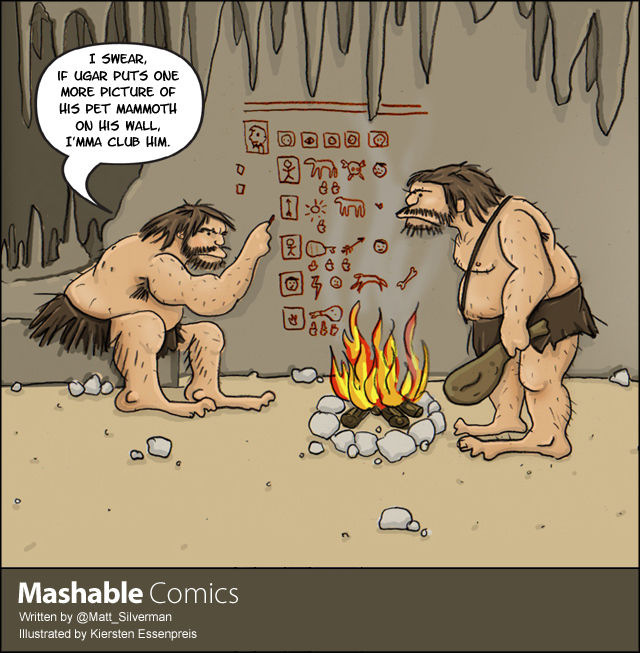 Just love this week's comic from Mashable. In a couple of previous posts I have alluded to my digital filing system and, in a comment on one of those posts, Sharon Brennan asked me "Can you describe your filing system?? I have hesitated in doing so because my system is neither scientific or complex. It is a simple system that works for me. Having trained in Librarianship many years ago I am in the habit of putting things in alphabetical order so this is the simple basis of my system. With digital systems I prefer a flat structure to one that is deeply hierarchical requiring lots of drilling down to access information. I have already spoken of my scanning station and my commitment to scanning all the bits of paper I have related to my genealogy obsession. I have also talked about what I do with conference papers. My system is to "Fling it in the folder". I have a series of folders set up on my hard drive, each file I have, irrespective of format, goes into the appropriate folder or sub-folder. All my image files are additionally tagged with Picasa software. I do not worry about linking Places in that folder to People in that folder or creating other similar relationships between files (but I guess I could hyperlink them if I felt the need at a later date) as my genealogy software manages that for me. Most of the labels are self explanatory but some need clarification. Correspondence contains genealogy letters of a general nature. Those about a specific surname or person are filed in the Names folder. Curry All stores files about the Curry surname in Australia ready for when I have the time or inclination to conduct a one-name study. Geniaus Backup is a backup of my family site files ie templates and design. I don't need to back up the data as the backup is my TMG database and its backups. Geniaus Talks is the home of my talks and presentations. Names is the biggest folder. It has some sorting folders that are prefixed with 00 and then a folder for each surname in my database. Lastname, Firstname DoB File description. Once I have more than three or four files for an individual he or she gets a folder labelled with: Lastname, Firstname Do. Odds & Sods is just that. The place where I fling graphics, cartoons and other ephemera. Our Diary is peculiar to me. It contains an Excel spreadsheet that is my digital diary; the folder also contains other documents such as invitations, programs, tickets that are hyperlinked from the corresponding entry in the diary. This diary from the day of my parent's marriage has been constructed over the years from documents, printed diaries, old calendars, receipts, certificates, recollections, newspaper clippings and by uing photographs as prompts. I presently use Outlook for my diary and periodically export this into the Our Diary spreadsheet. The Headings for this spreadsheet are: Day, Date, Time, Details, Source 1, Source 2, Source 3. Places is similar to names but contains folders with maps and information about the places of my ancestors. Thes include, Towns, Houses and Chruches. Research Log and Plans does not house my master research log(that is a Google Docs spreadsheet) but the smaller logs I create when I am going to visit a particular repository, resource or place eg The National Archives, The Family History Library, or The National Library of Australia. TMG and TNG are where one finds files relating to my two genealogy software programs. These folders do not have family data. I keep and tag all of my bookmarks in Delicious and use Picasa to tag and organise my photographs. Librarything is my program of choice for organising my books. Perusing this list I am reminded of one other folder - Genealogy - Scans to sort. This is where my scans live until I file them. For consistency I think it will be renamed. Phew! That was a post and a half - hope it answers your question, Sharon. I launched another blog today, GeniAusEvents. 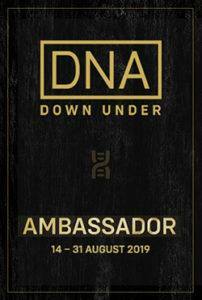 This blog is mainly for Aussie bloggers but would be of interest to people travelling from overseas who want to attend some genealogy events in Australia. "This morning I was reflecting on a post I made on May 3, Elusive Events, in which I wrote "I dream of an online calendar that lists all events that may be suitable for budding and experienced Australian genealogists. Something based on the Geneawebinars Blog would seem to fit the bill...but who will take responsibility for such a resource?" That post attracted a number of comments one of which from Elizabeth O'Neal said..."The only way to find out is to give it a try". I also thank Judy Webster who gave some useful tips in a comment on that Elusive Events post, as I get going I will employ these. I set up a blog, GeniAusEvents and let it rest. This morning when I was fiddling with my Google calendars I thought I may as well give it a go. So I set up GeniAusEvents Google calendar, added a couple of events and pasted the code at the bottom of my template. The calendar will be visible at the bottom of each page of this blog. Hey presto, another blog is born. I am not promising that this will be a comprehensive list but, as I monitor quite a few mailing lists, blogs and twitter I hear about a number of things that may be of use. 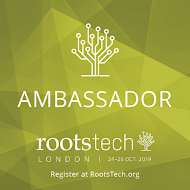 The focus of this blog will be events of interest to Australian Genealogists including conferences, excursions, family reunions, lectures, open days and seminars. This is by no means a comprehensive list but a listing of events that I come across on my genealogical journey. As I live in NSW it may have a bias towards that state. It's a few weeks since I took delivery of my Galaxy Tab or shiny new toy and, as each day goes by, I am becoming more proficient in its use and familiar with its capabilities. I have been buoyed by two pieces of news today . Samsung is planning to offer an upgrade to Gingerbread to owners of the original 7" Galaxy Tab so my bargain buy will be getting an upgraded operating system. Secondly Ancestry.co.uk have announced on Twitter "For all those waiting for an Ancestry app for Android, we're building it currently and it will launch later this year :)". Since I last wrote about my Tab I have purchased a $2 prepaid SIM card from Telstra and organised a data only service for the SIM, I spent $150 for 10gig of data that must be used within 12 months. This process required two trips to Telstra shops and a couple of phone calls to Telstra, in one of which I was transferred to four different people before being cut off. There is no way I would recommend the (lack of) customer service from Telstra but, as they appear to have the best network coverage in Australia, I have to use them. I can now use my Tab to access the internet from anywhere on the Telstra 3G network in Australia. With this facility I can now visit my familysite and genealogy news sources in most places. I gave the connection a good workout in a car trip from Sydney to Newcastle and back last night when I used the Tab to keep track of genealogy news on Twitter, Facebook and Google Reader (I chose to be a passenger). I was also able to monitor my emails and use the browser to provide answers to some of the questions Mr Geniaus asks. He thinks that I know a lot (I don't) but I just know how to find information and the Tab gives me ready access to find answers for him on the road. Although I cannot make phone calls from this device without a phone plan I am able to take incoming calls but I haven't shared the number with anyone as of yet. I read recently that a large percentage of people sleep with their mobile phones in close proximity to their beds. I have taken to taking the tablet to bed; it spends the night on the bedside table. I use it each morning to check on genealogy news, read emails, look at activity on my blogs and read the Sydney Morning Herald via its Android app. My keyboarding skills on the tablet have progressed from woeful to barely passable but I am resisting purchase of an external keyboard for the moment. I did, however, purchase a protective case so that when I drop the gadget the damage should be minimal. I have two-way calendar synching, via Google Calendar Sync, all organised from Outlook on my desktop to Google calendar so I can enter dates on the fly into the tablet calendar app. I have used the simple Alarm Clock app to wake me for those 4:00 am webinars from the US (I have ongoing issues with my clock/radio alarm). Blogging from the tablet might be a challenge but I will give it a go before I next head off on a trip. I am considering using a Google or Excel spreadsheet as a genealogy research log as I find the research part of The Master Genealogy clunky and I cannot access this from my tablet. Using a spreadsheet will enable me to easily access and sort my data to find what I need. I believe that there is an Android research planner available but I have yet to find it. Taking and sharing photos from the Galaxy Tab is a breeze. This will be a useful feature when a serendipitous photographic opportunity arises but I would stick to my digital camera for those pictures that I want to record for posterity. Although I have downloaded a number of other apps I have not fully explored them. There are very few genealogy specific apps for Android available yet but I am not concerned as, even without these, the Galaxy Tab has enormous potential for genealogy research. As I said in my last post "The uses of this tech toy for genealogy are only limited by one's imagination.". The TMG (The Master Genealogist) Sydney User Group meets every three months at The Society of Australian Genealogists in Sydney. The enthusiastic members of this group provide support and friendship to users of The Master Genealogist software. The group was founded by Carole Riley and is now under the stewardship of Kerry Farmer. Of the twenty odd persons who attended yesterday there was a number of seasoned users, some novices like me and one gentleman who had only purchased the program on Friday. Kerry Farmer organised a varied program for the meeting. I was pleased to be able to show the group how I publish my TMG data on the web with TNG. As I only had 15 minutes I was not able to do justice to the TNG software. I directed the group to these Australian sites that had been produced with TNG. Kerry gave the next two presentations. Firstly she gave us a thorough tour of the new beta version of TMG (v8); the group members were interested to see the new features that Kerry demonstrated. We were all most grateful to Kerry for the time she put into examining this software for us. Second Site was the topic of Kerry's second presentation. Kerry had stepped into the breach when the member who was to do the presentation could not attend. After providing an introduction to the program Kerry gave a practical demonstrataion on using Second Site to publish one's TMG data in html format. Once produced these websites can then be saved to a CD and given to family members. Kerry then showed us a number of family websites created with Second Site that had been published online. I commend the meetings of this group to anyone who uses TMG or who is considering purchase of a genealogy software program. At the next meeting of the group at SAG in August Bruce Fairhall will be presenting on how he uses TMG for his One-Name Project. All with an interest in TMG are welcome to the meeting, bookings can be made closer to the date on the SAG website. I am copying an idea from one of my favourite GeniMates, Sharon Brennan. In her recent post The Tree of me: Who am I? Sharon used the free program Wordle to create a visual representation of the ancestral counties of her great-great-great-grandparents. Now I don't know the names of all of my great-great-great-grandparents so I will create a Wordle based on my children's great-great-great-grandparents and show the Counties and States from the UK, Scotland and Australia in which they were born. How about having a play with Wordle to create some graphics from your family data? Do you have piles of handouts from conferences, workshops, seminars and lectures hanging around your work area? How do you find a particular paper in a hurry? What about webinars, powerpoint presentations, photographs, and recordings? As part of my filing system I have a folder named Family History - Presentations where I store information that I have gathered irrespective of its format. This folder is stored, with my other Family History folders on an external hard drive that is regularly backed up to another hard drive. I think that all presenters in this day and age should provide a soft-copy of their notes via the internet or email, however, many do not share my fondness for online resources or my commitment to save paper. I have a scan and shred policy for printed notes; I scan handouts, add the digital copies to my files and dispose of the hard copy files. If I just have one resource in one format I simply name it with the presenter's name and the title of the presentation and fling it in the folder. If there is a range of resources for one presentation eg voice recording, photographs, my typed notes and a powerpoint presentation I create a folder with the presenter's name and the title of the presentation and put all relevant files in the folder. I was flummoxed when I had to deal with the CD of papers from the 2011 Rootstech Conference that were published in one 400+ page .pdf document. I don't need to save everything in this document but don't feel like undertaking the tedious task of chopping it up. If it had been published in html format with links to individual .pdf documents it would have been so easy to identify those I wanted to save. Ideally I'd love to have any handouts in a digital format prior to a presentation so that I can view them on my tablet and add my annotations as the event is in progress. Generally this simple system works for me. I wonder how others approach the organisation of their workshop/conference/seminar handouts? Just in this morning is an email from Neil Chippendale,Local Studies Coordinator, at Hornsby Library giving details of the next Family History Talk scheduled at the Library, 22-44 George Street, Hornsby. On Thursday 9th June at 6:30 pm, 2011 Vicki Eldridge, Vice-President of SAG and professional family historian, will give a talk "FindMyPast in Oz". findmypast.com.au is the first site outside the UK for this well known pay-to-use family history resource provider and an enormous boon for researchers of Australasian families. 50 million records for Australia, New Zealand, Pacific Islands and Papua New Guinea" and growing every month. Vicki Eldridge, will look at the range of records currently available, most of which are unique to this website; discuss how they can help you further your research and provide some tips to help you get the most from your searches. These talks at Hornsby that are usually booked out in advance are great value at only $5 (including a cuppa).If you see me there please say g'day. One wouldn't think that George Izzard was a common name in 19th century NSW but I've had trouble trying to work out which of three possible Georges my great-grandmother, Catherine Molloy, married after the death of my great-grandfather, Thomas Curry. A son from this marriaage died in infancy and one daughter, Millie, survived. My great-grandmother died in 1904 after only a few years of marriage to George and he subsequently remarried and had more children. George and his new wife raised Millie and my grandfather and his siblings lost contact with Millie and her new family. Fast forward to the 1950s when my mother was working in Farmer's Department Store in Sydney. A customer noticed that Mum's name was Curry; they got talking and discovered that the customer was Dad's Aunty Millie. There were then a few family get-togethers held irregularly over the nest twenty years or so. At this time I wasn't into family history. From their marriage certificate and the death certificate of their son I had deduced that George was born near Mittagong, NSW around 1863. Because I am a skniflint I did not want to purchase more certificates on the offchance they would identify George. Without his parents names I could not be sure which was my George in the NSW BDM indexes. I was virtuously scanning a pile of docs at my new scanning station yesterday when I came across a letter from one of George and Catherine's descendants to my mother. I put it aside because I had resolved to concentrate on scanning. A few hours later when I was preparing dinner I looked at the letter again. It gave the names of two of George's descendants from his second marriage. After dinner the hunt was on... I opened a few of my favourite sites in separate tabs on my browser. I firstly checked the NSW BDM Indexes and then dropped into the The Ryerson index for any possible deaths. then I found one of the names, Lynn Izzard, in the Australian Electoral rolls on Ancestry in 1933, this told me that this person must have been born before 1912 (enough time for George to remarry and have offspring). She was living on a farm in Mittagong, NSW. Interestingly there was a George Izard listed above her in the list but on another farm. In a subsequent electoral roll she was living with a George Izard and a George Thomas Izard! Trove to the rescue: a search for Izard and Mittagong brought up George's death notice in the Sydney Morning Herald and that confirmed that he was our George via the list of children's names including Millie. It also threw up a link to George's next wife's death notice. By dropping a z from the surname I was able to find their marriage in the NSW BDM indexes. With a bit more jumping around from resource to resource I found George Izzard's (two z's) birth in 1865. A search on Google found a well-researched site that listed George's ancestry back to a convict from the second fleet ship Juliana and beyond to the Mother Country. I now have a big job checking the sources given on this site. I will upload the Izard/Izzard details to my family site before I check all the sources so that cousins can find me but I promise to go back and source everything. I was elated when I finally identified old George and communicated my joy to Mr Geniaus (who isn't too interested in family history). He replied "I don't know why you are excited, he wasn't a blood relative", was his reply. I reminded him that this was my great-grandmother's husband. I did a solo Genealogy Happy Dance when that wall came tumbling down. As a result of my recent retirement and things learnt in a webinar this week I am getting serious about scanning. Filing is not my forte; I have been a little lax lately as I knew retirement was approaching and that I soon would have lots of time to sort out papers. The result is a safety hazard on my study floor ie a couple of boxes of papers for filing. When I receive a paper document or photograph I usually add any data I can glean to my database and toss the resource into a cardboard box for filing in my genealogy folders. I had intended putting all of this in order, filing it and, at some later date, scanning the contents of all my folders. I now realise that that would mean double handling of the unfiled docs. So I made a decision to scan all of those docs before I filed them away. With this decision made I had to think about scanning. I need to make it easy for myself to do this task or my good intentions will fly out the window. My Flip-Pal Mobile scanner is good for scanning when I am out and about or for things I need to email in a hurry but it doesn't scan in tiff format. The need to scan in tiff was reinforced in the webinar this week. That means that I should use my desktop scanner which, although it is a few years old, does a sterling job. Since moving to Windows Vista I have had numerous problems with the scanner and laptop crashing. I bit the bullet and downloaded new drivers for the scanner this week but that didn't help the situation. Then I remembered my netbook that sits on a shelf when I am not travelling. This tech toy runs Windows XP. I wondered if it would have the guts to deal with large scanning jobs. I downloaded the drivers, plugged in the scanner, did two scans (after which the Vista laptop crashes), held my breath and kept on scanning for a couple of hours. I tried again the next day and it worked like a dream. Hey presto, I now have a permanent scanning station set up in my study so there is no excuse for not scanning documents when they arrive. I already have a filing system set up for soft copies of documents on an external drive (backed up to another external drive). So all I have to do is save the new scans into a folder "Genealogy scans to be sorted", rename them, plug the hard drive into the netbook and transfer them into their appropriate folders. And while the scanner groans as it scans huge tiff files I can paly on my shiny new toy. Full of good intentions I was going to write a post for Privacy Awareness Week that is just about over. Thankfully I was just reminded by a post on The Official Google Australia Blog. The Office of the Australian Information Commissioner's theme for Privacy Awareness Week 2011 is Privacy: It's all about you. This organisation has launched this week an online "Privacy fact sheet- Online Behavioural Advertising: Know your options." The following video was produced as an educational tool by the Asia Pacific Privacy Authorities (APPA). As part of Privacy Awareness Week, the Asia Pacific Privacy Authorities are interested in hearing about your experience of privacy and social media. Take part in their survey and tell your story here. Was your ancestor a "Firey' in NSW? In my ongoing quest for learning opportunities I just stumbled across details of a talk at The Local Studies & Family History Library in the Parramatta Heritage Centre. Both my father-in-law and his father were members of the NSW Fire Brigade and I would love to learn more about which records I can access to learn about their working lives. On 19th May there is a free talk at the library "Fires & Fire-fighters in NSW with Neil McGrath that might just give me some tips. I'l be headiing for the centre at 2:00 pm to see what Neil has to say. I seem to repeat myself a lot but I believe that it's the early bird that catches the worm. This morning's catch was a fat and juicy one. I awoke before the birds at 3:45 am to take part in the latest Legacy Family Tree Webinar " Preserving Family Photographs: 1839 to the Present" with Maureen Taylor, The Photo Detective. The content of this webinar is relevant to anyone who is in possession of a family photo. Sometimes I do not take many notes in these webinars but today found me oohing and aahing while furiously writing notes. Maureen's talk was well-structured and informative and supported by slides that summarised the content. 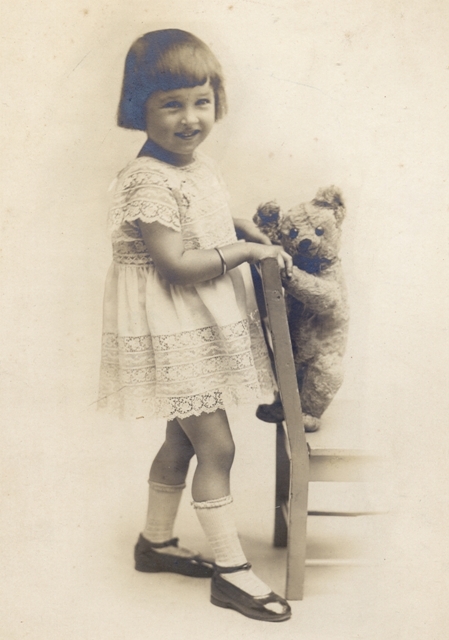 As well as talking about Damage, Preservation and Conservation of various formats she covered Identification, Labelling, Sharing and Display of family photographs. For those who misssed the webinar it will be available until May 14, 2011 on the Legacy site. I suggest that you visit the Legacy site and listen to the presentation to pick up many more tips. Maureen has written a book "Preserving Your Family Photographs" that is available from Amazon in the US. Unfortunately the latest edition is not available at Gould in Australia or my favourite online bookshop The Book Depository. Recently I attended The Dropbox for Genealogists Webinar with Thomas MacEntee. Although this had less content then Maureen's paced session it was an informative and useful introduction to Dropbox that solved one or two issues that I had with the application. I have signed up for future webinars on Google Docs, Writing your family story and DNA. Sadly I'll be overseas for Maureen's next webinar and won't be able to take part. I am a great fan of these "free" webinars that give Australians opportunities to hear from internationally renowned speakers. One has the option of purchasing a CD of the presentation after the event and, no doubt, many people do. There may also be available other material by the presenter that can be ordered from Legacy. I find that by watching the webinar on one computer and taking notes on another I am able to make meaningful notes and take part at no cost except for leaving a warm bed in the early morning hours. Among the piles of remaindered books on sale at my local QBD Bookshop I often find some gems. I usually give books published by Reader's Digest a wide berth but I succumbed on this occasion. Australia's Yesterdays: the illustrated story of how we lived, worked and played is a compilation of articles dealing with Australian social history. Topics include: From Vaudeville to the ballet, The versatile Snowy Baker, Making cars in Australia, The home of quackery and On the Susso. The articles are written in a popular style and are easy to read. Illustrated with old photographs, cartoons, advertisements and documents this book will give the genealogist information about Australian life in the twentieth century. It is not a work to be read in one session and does not have to be read chapter by chapter. As it is a compilation the reader can jump all over the place selecting articles at will; the comprehensive index gives readers access to articles of interest. At $14.95 this 360 page quarto sized book is good value. As it is a rather heavy tome I would not recommend it for bedtime reading. As a new retiree with a commitment to CGD I am seeking edcational opportunities to further my genealogical skills and knowledge. Like Joan Miller of Luxegen I think I may become a Genea-Conference groupie. I dream of an online calendar that lists all events that may be suitable for budding and experienced Australian genealogists. Something based on the Geneawebinars Blog would seem to fit the bill...but who will take responsibility for such a resource? Presently it is a tedious process to identify learning opportunities. There are a number of organisations that offer relevant events but there is no one central place where all event details are listed. To locate events within cooee of Sydney, NSW I need to go to the SAG Calendar, Unlock the Past Events, Joy Murrin Events Calendar, NSW State Records, The Royal Australian Historical Society, The State Library of NSW, The National Library of Australia, The National Archives of Australia , Geneawebinars, and webpages of local family history societies (if they have one). I also follow some libraries and groups on Twitter and Facebook and subscribe to a number of e-newsletters. This is a time-consuming exercise and does not ensure that I find all possible events. Just this morning I saw a comment on Facebook by Kerry Farmer that she was giving a talk at Ku-ring-gai Historical Society. I visited that society's webpage and found a .pdf document listing a number of family history talks for this and next month. It was too late for me to attend this morning but I will attend some of these in the future. How do other Australian Genealogists find events? 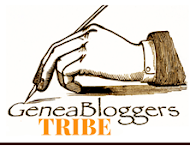 I wonder how hard it would be to get people and society representatives to contribute details of events to a blog like the Geneawebinars Blog if I set one up? In yesterday's post, CGD - It's not a disease, I said that I used the resources of SAG (The Society of Australian Genelealogists) to seek out potential learning opportunities in genealogy. the latest family history book arrivals in our shop"
Anyone with an interest in geenealogy in Australia can subscribe to this newlstter by signing up here at the society website. I was surprised when Rosemary, from Climbing the Family Rosebush, put this comment on my blog this morning: "Not quite on topic but ... Your blog received a mention in the SAG newsletter for April. Congrats!" Blogs focusing on genealogy are popping up all over the Internet and their focus ranges from postings about the individual's own research to more general information on what's happening in the field of genealogy. One blog with an Australian focus is Geniaus. This is a good looking site from a self-described "amateur Australian genealogist excited by Web2.0 applications". As a member of SAG I am in awe of the knowledge and skills of many of the members I meet around the geneasphere. I feel honoured that my little blog has been mentioned as a resource in one of their publications. Thanks, SAG editors, I am feeling quite chuffed.